Cancun is a beach-lover's dream, as it is home to dazzling white sand beaches and aquamarine blue waters that often look too beautiful to be real. 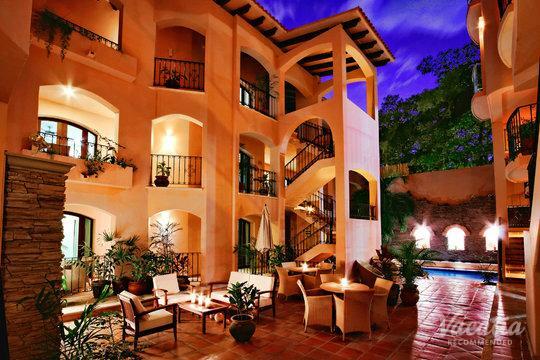 This Caribbean oasis is not only known for its picture-perfect beaches, but it is also a renowned spot for great nightlife, delicious Mexican cuisine, and ancient architectural gems. 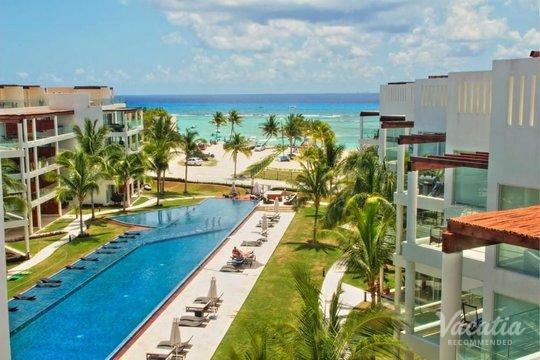 Whether you are planning a fun friends' trip to Cancun or an action-packed family vacation to this Mexican hotspot, you should rely on Vacatia to help you find one of the best Cancun four star resorts available. 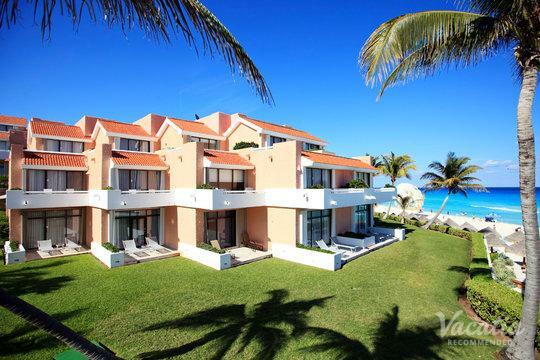 There are plenty of hotels and resorts to choose from when you plan your trip to Cancun, but Vacatia can help simplify the search process by narrowing down your selection of Cancun 4-star resorts to that you find the perfect vacation rental for your stay. 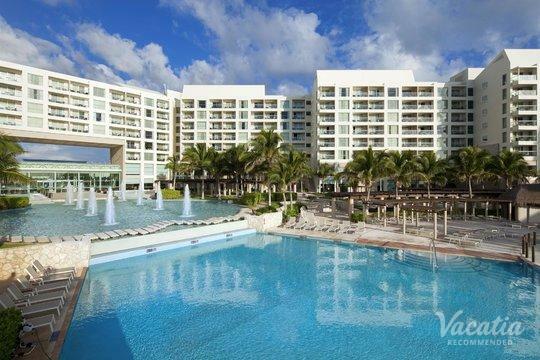 With Vacatia's easy-to-use search tool, you can book one of the best four star hotels Cancun has to offer, and this is sure to make your upcoming Mexico getaway unforgettable. Get ready to feel the warm Caribbean sun on your skin, because your dream Cancun trip can become a reality when you work with Vacatia. Cancun is one of the most popular destinations in Mexico, and the town is full of excitement, entertainment, and resorts. 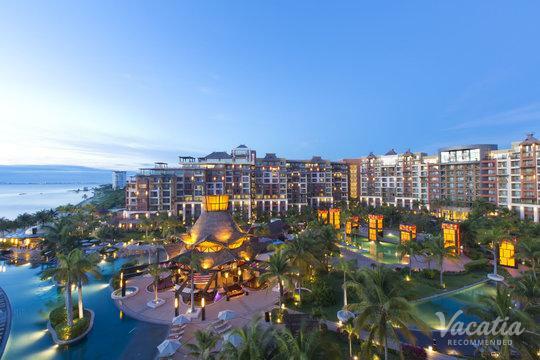 With so many resorts spread throughout Cancun, narrowing down the selection can seem like a daunting task. Luckily, Vacatia strives to make vacation planning easier for all types of travelers, from honeymooners to families. 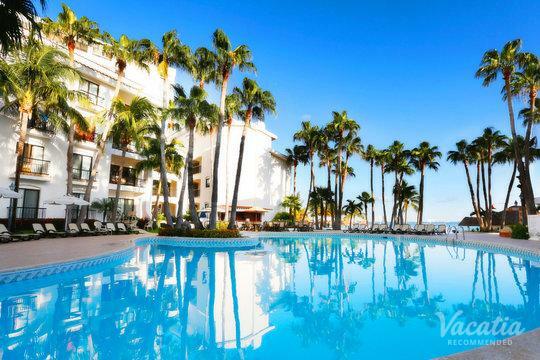 Vacatia can provide you with an impressive selection of Cancun 4-star resorts that perfectly suit your needs, thus you can eliminate the stress and the hassle of booking your hotel. Unlike typical hotel rooms, Vacatia's vacation rentals offer extra living spaces, such as kitchens, as well as luxury hotel-style amenities. 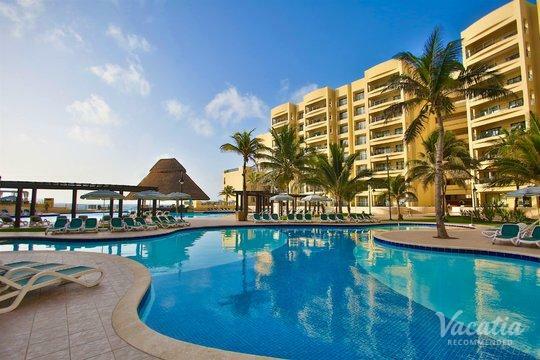 When you use Vacatia to book your vacation rental, you could stay in one of the best 4 star condos Cancun has to offer. 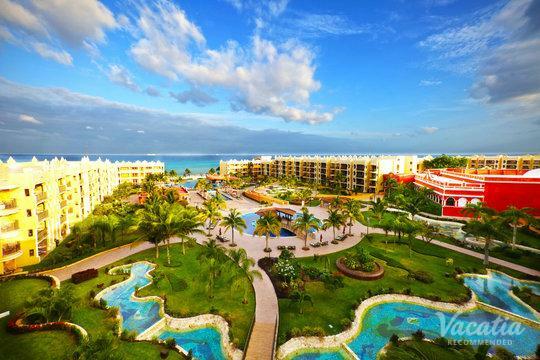 The extra space and comfort of your Cancun vacation rental can significantly improve the quality of your Mexico vacation, so let Vacatia help you plan your upcoming beachside getaway. Cancun is a popular vacation destination that is known as much for its vibrant nightlife scene as it is for its world-class beaches. Cancun's long stretches of white sand beaches provide a little slice of heaven for beach-lovers and sun-seekers, but enjoying the beach isn't the only thing to do in this exciting destination. During your trip to Cancun, you can partake in an array of water activities, explore remarkable Mayan ruins, and visit charming Mexican villages. 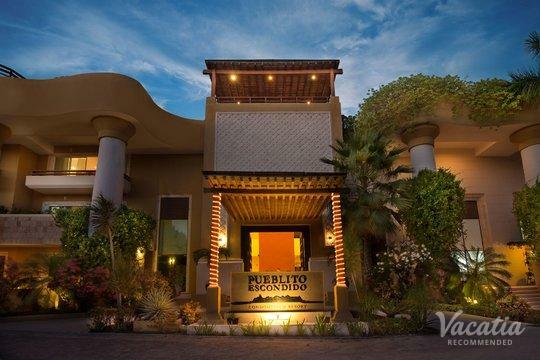 Whether you choose to spend your days jet-skiing in the crystal clear water, checking out the impressive architecture of the Mayan ruins, or partying at one of the many nearby bars or clubs, you are sure to have an unforgettable vacation. 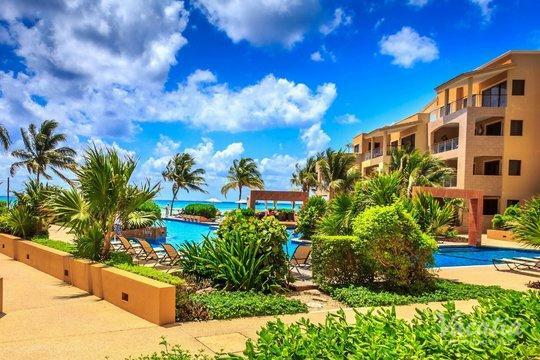 To make the most out of your Cancun getaway, be sure to work with Vacatia and its attentive Guest Care team to find the perfect vacation rental for your stay in Mexico.